I went to login to my ArcWeb Services account this morning and low and behold I was forwarded to the ArcWeb 2006 page. 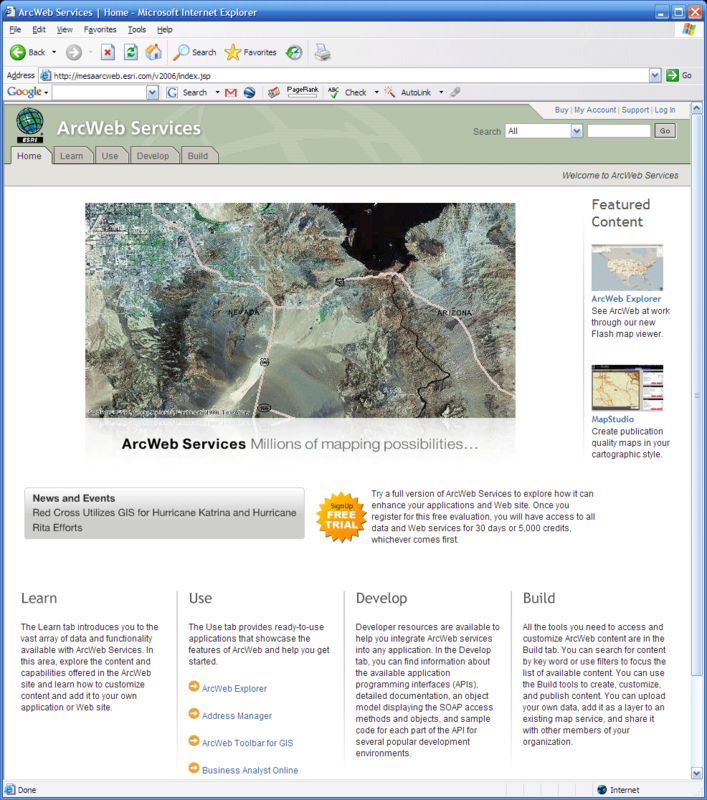 The main ESRI ArcWeb page doesn’t seem to be updated, but as far as I can tell it should be soon. There are many new and cool features in 2006 that I’ll try and go into during the day, but many will want to take special note of the new REST support. A short week means I have to squeeze 40 hours of work into 24 hours of time (why does it never work in the reverse), but I’m going to spend some time playing over the Thanksgiving Day weekend with Public ArcWeb Services and REST. Update - It looks like it isn’t totally available yet as the ArcWeb Explorer demo isn’t up, but I suspect we’ll be seeing this sometime this week.